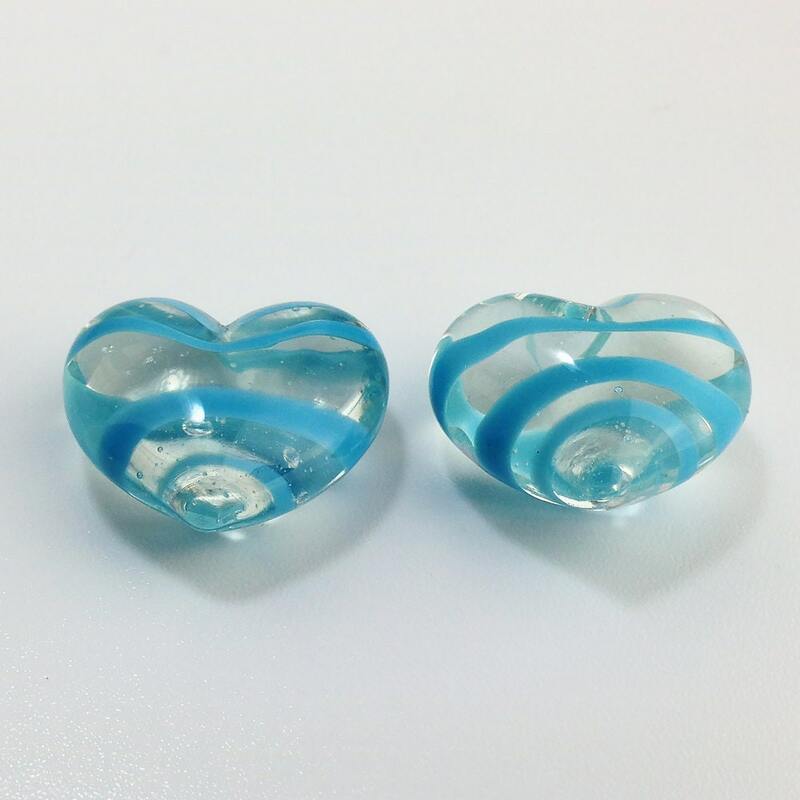 Characteristics: These hearts are clear with Light Blue stripes. 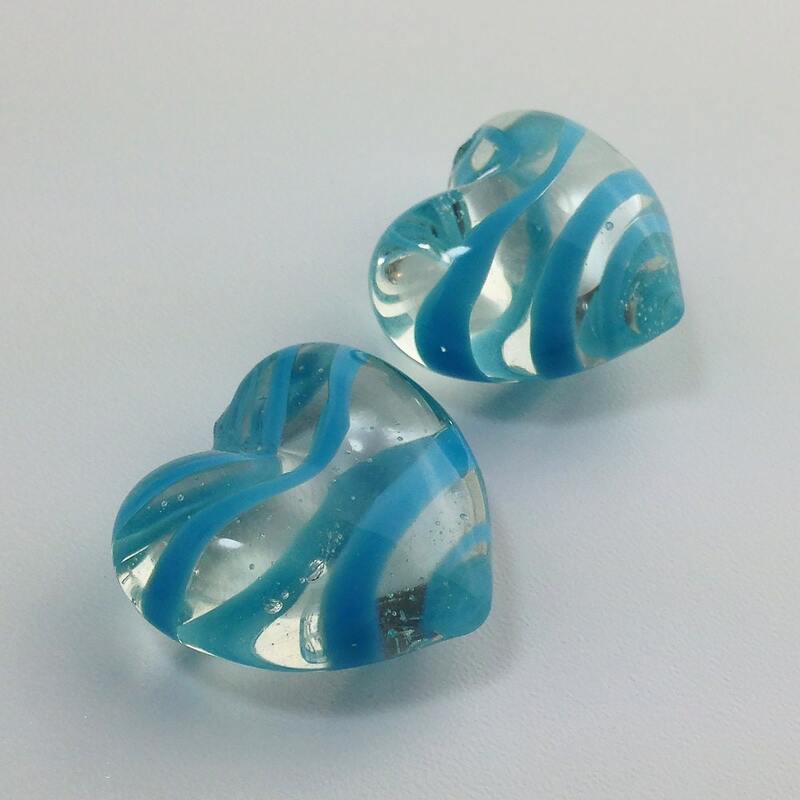 They are perfect for a wire wrapping project. 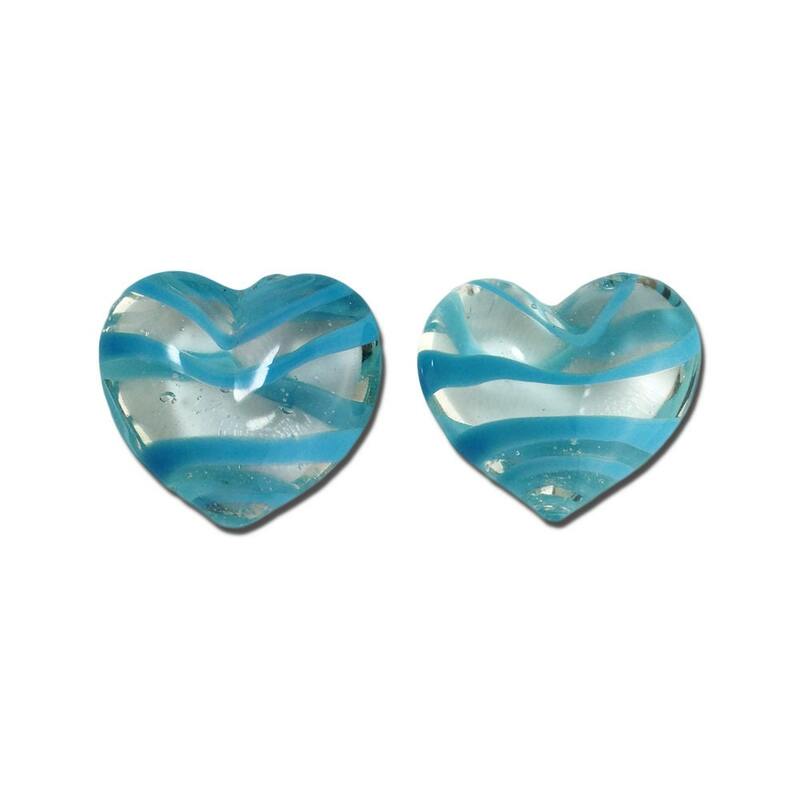 Color: Clear w/ Light Blue Stripes.